It’s come to my attention that some of you are beginning to ponder my intentions and question my methods. While scrutiny is welcome in all walks of life, the opportunity to directly answer your critics doesn’t come around all too often. Well, you may wonder, who is this letter for? And what is its purpose? In truth, it’s a letter born out of frustration. As an Englishman, writing strongly worded formal correspondence seemed only an all too appropriate way of communicating this statement. After all, I’m fairly sure there’s a somewhat anonymous bloke in existence that’s created some form of notoriety out of writing indirect letters to me for years on end, but that’s another matter entirely. So here it is; your answer’s in full to the repeated questions of ‘who, what, where and when?’. Have you ever walked past a house, or visited somebody’s property and briefly thought to yourself, “what a shame, there’s so much that could be done with this place”. Well, that’s the thought process that lead me and Joe Lewis to invest in Tottenham Hotspur all of those years ago. Lord Sugar was, in all honesty, never going to be a tough act to follow. Having evaluated the fan base, measured the club’s potential both commercially and from a footballing angle, we believed, and still do, that through solid business acumen, sustained growth and as little reliance on loans as possible, we could improve Tottenham Hotspur exponentially both as a financial prospect, product and football club. Easier written than done, the progress we have made to date is, in no uncertain terms, exactly to plan. We have at no point broken budget and we have at no point had to seek assistance from banks as a result of impatience or incompetence. What we have done is taken Tottenham Hotspur football club from a failing business and relegation threatened entity to become one of the most ethically financially secure teams in the country and regulars in European competition. That said, I hope you’re beginning to see where my frustration is born from when I’m accused of ‘holding the club back’ and the such. To complete the analogy I loosely began exploring earlier, if the club were a standard residential property; ourselves, ENIC as you know us, would be simple property developers. To drag this further excruciatingly in to leman’s terms for you, Tottenham would be the run down, criminally cheap, investment property. The goal would then be simple; spend as little money as possible creating something out of that property substantially better and more appealing than what was initially purchased, eventually selling it on to the highest bidder for the largest possible profit. The business of the matter is wonderfully simple, so why some have taken it upon themselves to murky the water and unnecessarily try to overcomplicate proceedings is far beyond me. Building the club - or renovating the property, whichever narrative you find easier to follow – was not a task we dreamt was going to be completed overnight. Where we find ourselves now, as explained, streets ahead of where we began, is in the final stretch of ENIC’s time in charge of Tottenham. Our blueprint is almost complete, our plans almost seen through, and all we’re now required to do is apply a final coat of paint, if you were. In order to complete those targets to an acceptable level, have them functioning to potential and married in seamlessly with both the business aspect of the club and footballing ambitions to boot is a balancing act beyond many. Again, not too sound too self-fulfilling, but the work we have done to date should, from my point of view, leave very little room for complaint. The transfer market is an area in which, remarkably, I’ve had my reputation precede me in the most. Where some have accused me of showing reluctance to spend, I believe I’ve displayed financial restraint. Where some have accused me of willingness to sell our biggest assets in the face of on-field progression, I believe I did the best I could in each case to either keep the player at the club for as long as possible or get the best possible deal for them as compensation for their departure. You mustn’t forget, we’re a self-proclaimed club in progress, there’re bound to be bigger fish in the financial sea willing to poach our best players; for the time being, that’s just the way of the world. The strict transfer structure has been derided, and to that I point out clubs that perhaps didn’t dream too big, but rather lived well in excess of their means; please feel free to ask Leeds and Portsmouth fans how they feel about their brief successes now in hindsight, whilst languishing minus hope in the lower leagues. I stress; we aren’t just trying grow the club our way, but we’re trying to do it the right way too. I’m in the ground on match days, I’m well aware of the animosity held towards clubs such as Chelsea and Manchester City who have gained elevated positions due to gross financial doping – if doing things naturally and ethically our way isn’t acceptable, and their route to further success isn’t either, than how are we supposed to find a path that pleases everybody? Truth be told, it appears to be impossible. Had we known it would have been this thankless of a task, we have thought twice about investing in Tottenham in the first place. 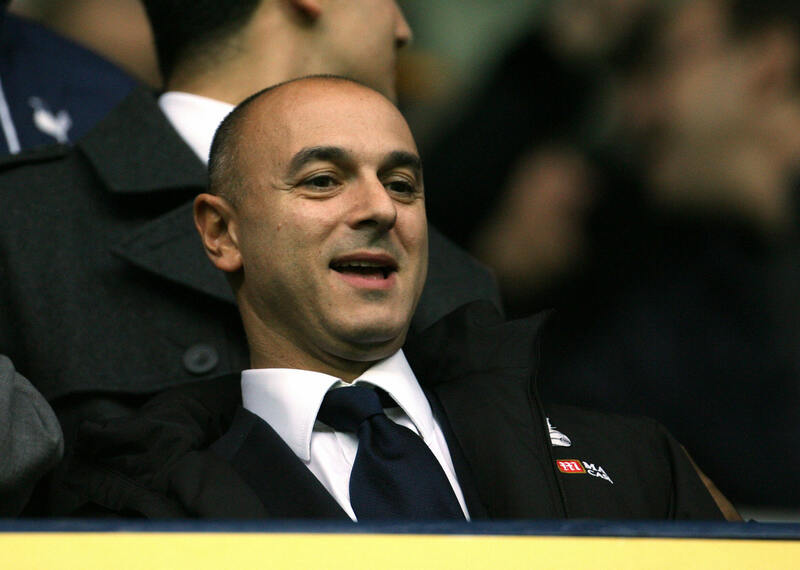 We will, sooner rather than later, be in a position to finally sell Tottenham Hotspur. To who, we obviously don’t know. What we hope to leave behind though, is a lasting legacy of having adhered to the clubs philosophy; not only daring to do, but also daring to achieve in not only the right fashion, but somewhat more importantly, the Tottenham way. Hopefully you’ll now more thoroughly understand just why we decided to invest in the club in the first place, build the club in the manner we have and the final goal of selling the club to secure our initial business objectives. That said; should anybody believe the success of Tottenham Hotspur football club isn’t first and foremost in both our objectives and priorities, they don’t seem to fully understand the level to which we want our investment to succeed. Again, to avoid all confusion; for ENIC to succeed on a business level out of this investment, and secure a profit worthy of the time and money spent growing this, Tottenham Hotspur have to be an unmitigated success both on and off of the playing field. We have too much of a vested interest in the project to ever allow anything less than this. To conclude, here’s a brief timescale of events yet to come. Those of you who lament us as owners, want rid of me as chairmen and will cheer the day we’re no longer associated with the club; once the new stadium is built and our package prepaid, we’ll sell the club and be out of the frame forever. There shall be no need to ever return, we hope. To those of you who have believed in us like you believe in your club, bought in to our plans and our methods of getting there; a warm thank you, all of your support is wholeheartedly welcome.